Imagine creating a company comprised of your most dynamic, experienced, and trusted colleagues: those people with whom you’d want to launch a business. Welcome to Verdant PR & Marketing. After nearly two decades of working with PR agencies in Germany, Boston, New York and San Francisco, Verdant Founder Erin Hunt Moore dreamed of launching a cooperative effort comprised of top talent within her national network —from PR, marketing, and branding experts, to design, photography, and writing pros. The result: a savvy, multi-generational team with a knack for smart strategy, a passion for storytelling, and ability to build sustainable foundations with branding. Verdant PR & Marketing supports innovators and leaders in consumer lifestyle — forward thinking people who are boldly embracing “firsts,” while making significant societal differences with their companies. We have a passion for the eco-friendly and sustainable, and when these intersect with food, beverage, beauty, wellness, travel, and destination, this is where Verdant excels. When we’re not busy cooking up strategy, sharing stories, and building successful partnerships, we’re living lives we like to call lush: working knee-deep in wine harvests; handcrafting our own bitters; teaching; writing; freelance styling; cooking impromptu dinners for big crowds; shaking cocktails; championing good, clean, fair food; getting up to our elbows in our gardens; riding our bikes; playing bocce with our kids, traveling, connecting, dreaming. Living! Erin Hunt Moore is a seasoned public relations and marketing professional with nearly 20 years of experience drawn from both in-house strategic corporate communications leadership and the creative, collaborative environment of public relations agencies. An expert in building strong consumer brands, Erin is a veteran of the food and beverage world, but her experience spans many industries, including travel and hospitality; health and wellness; green and eco-friendly consumer lifestyle; technology; beauty; education, and not-for-profit arenas. In 2005, after years of leading PR strategy and campaigns for top-tier food and beverage brands in New York City, Erin returned to her West Coast roots to pursue a dream: to roll up her sleeves and make wine. Settling in Sonoma County for a harvest season, she embarked upon a wine-making sabbatical with Michel-Schlumberger Wine Estates. Inspired by her harvest “boot camp,” Erin launched Erin Hunt Communications, a PR group dedicated to launching and building brands and services connected to the food, beverage and consumer lifestyle arenas. Keely Garibaldi’s career in public and media relations in the luxury wine and hospitality industries has spanned more than a decade. A seasoned PR professional with an educational background in Viticulture and Wine Business, Keely has represented premier wineries in Napa and Sonoma throughout her career. 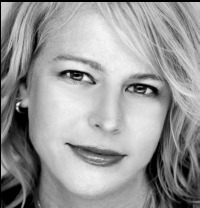 ​Keely works as a freelance public relations consultant, including with the Verdant PR team. Previously, Keely was Vice President at a luxury hospitality PR agency, where she oversaw leading industry brands including Cliff Lede Vineyards, Poetry Inn, Dana Estates, Melka Wines, Vineyard 29, Domaine Carneros and Mayacama Golf & Residence Club. ​Outside of traditional media relations, her expertise includes sommelier relations, auction strategy, promotional idea development and execution, and social media strategy and implementation. Originally from the Lake Tahoe area, Keely earned a Bachelor of Science in Wine and Viticulture with a concentration in Wine Business from California Polytechnic State University, San Luis Obispo. Nancy Uber is a strategic partner to Verdant PR. She brings to our clients more than twenty years of experience in public relations, communications and special event management and an extensive background in travel, food and wine. Over the years, Nancy has been responsible for managing the overall public relations, marketing and branding programs for clients which have included several global hotel and resort groups, boutique hotels, a number of nationally- renowned chefs and restaurateurs, high-profile wineries and spirit brands, international airlines, artisanal consumer products, and more. Since founding her own group NÜ PR in 2006, Nancy has overseen the public relations programs and launches for a number of recognizable hotels and restaurants. Working with restaurants and hotels including: Hotel Renew on Oahu, Vive Hotel Waikiki, Kimpton’s San Francisco Hotel Collection, Scoma’s, JW Marriott San Francisco and Level III, Marriott International, Tiki’s Grill & Bar, Park Burger, Katsuya Brentwood, The Good Hotel, Hotel Adagio, Nettie’s Crab Shack, Kuleto’s Italian Restaurant, Avedano’s, Maverick, W San Francisco and XYZ, and many more, she has raised the level of visibility for these businesses through the creation of strategic campaigns and garnering placements in the local, regional and national media. Monica Schweiger was raised beachside and barefoot in Southern California, the daughter of an Architect and a Librarian. Her parents' gifts for spotting quality design, details and the love of words were passed on along with a penchant for fashion and personal style (we can probably blame Barbie here) which Monica has turned into a 20 + year career. At 20, Monica hopped on a plane for New York to study “The Business of Fashion” at The Fashion Institute of Technology. While in school, Monica jumped on the internship bandwagon and landed a prime spot in Public Relations at Prada. After a few months, she was hired as a PR assistant and got the opportunity to work in a more creative capacity, casting runway shows, working on events and the like. The creativity experienced here fueled her passion for art and design, and in a short time Monica jumped to the editorial side of things as a Fashion Assistant at Details Magazine. Marie Gewirtz’s career in marketing, brand development and public relations in the wine and food industries has spanned more than three decades and as many continents. Her namesake-marketing firm passionately advocates sustainability as a way of life for current and future generations by promoting organizations with a commitment to land stewardship, economic viability, education and community involvement. Marie’s forte lies in guiding clients in identifying authentic themes that set them apart, and developing innovative outreach strategies that resonate with media, trade, and consumers. An adjunct teacher and Advisory Board member for Santa Rosa Junior College Agriculture/Natural Resource department since 1990, Marie continues to teach marketing and communications for the wine industry. She was also one of the first adjunct teachers for Sonoma State University Wine Business Institute, and initiated the Sustainable Marketing class in April 2015. Understanding that fresh, locally grown food is the most important ingredient for a healthy, vibrant life and community, Marie is on the Advisory Board for the Healdsburg Farmers’ Market. She served on the Sonoma County Harvest Fair Board, ending her 9-year tenure as President. A proponent of wellness, Marie is a Bureau Speaker for City of Hope medical research center. Her favorite hours of the week are when volunteering in the local schools teaching youth strategic thinking through writing. © 2017 Verdant PR & Marketing. All Rights Reserved.